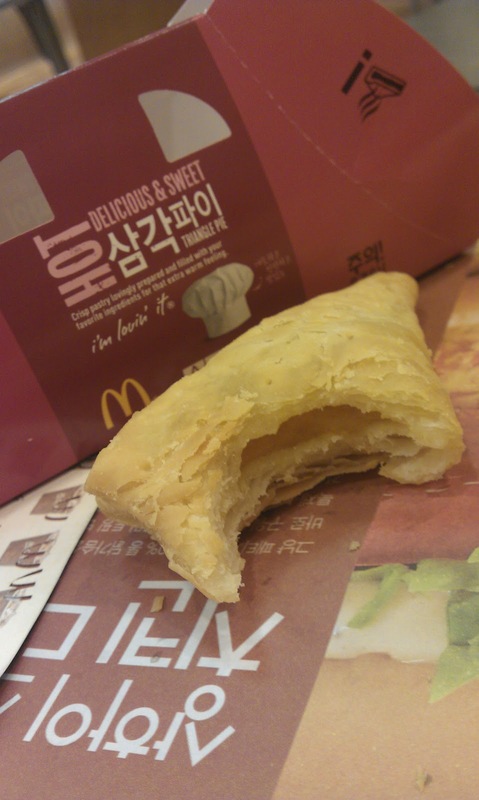 Just in time for autumn, McDonald's Korea is promoting the limited-edition Pumpkin Pie, using a big banner on all its Korean store fronts. McDonald's Korea often uses Triangle Pies for the promotional pies, but this is the first time they have had a Pumpkin filled one. It was small, and rather bland. The Pumpkin filling was nothing like the promotional photos. For the size, at 1200W, it was rather pricey.